Waterborne crude volumes (including imports) delivered to coastal refineries in Texas, Louisiana and Mississippi by domestic producers peaked at 27% of inputs in 2014 as regional plants processed increasing quantities of shale crude. 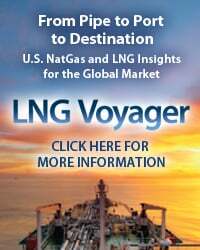 Since then, these volumes have plummeted to 15% of inputs in March 2016 as Gulf Coast refiners have returned to more competitive imports instead. 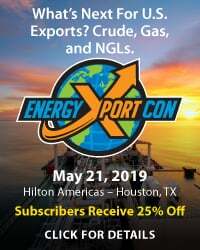 At the same time Eagle Ford crude volumes shipped along the Gulf Coast have fallen 28% this year in response to declining production and narrow price differentials between Texas and Louisiana ports. Gulf Eagle Ford crude now also plays a far smaller part in export markets than WTI grades. Overall exports have not increased since the end of the export ban but volumes to Canada have plummeted as shipments to other nations have increased. Today we review the shifts in waterborne flows across the Gulf Coast region. Before the shale oil surge in 2011, Gulf Coast crude supplies were largely a mixture of overseas imports and offshore Gulf of Mexico production. 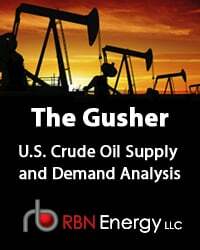 Most domestic crude not consumed at coastal locations was shipped to Midwest refineries via the Cushing, OK trading hub that is the delivery point for U.S. inland benchmark West Texas Intermediate (WTI). But shale crude production rapidly overwhelmed refineries in the Midwest leading to a build up in inventories at Cushing during 2011 and 2012. The logical outlet for this stranded crude was to ship it to Gulf Coast refineries where it could displace imports, but it took two years for pipeline infrastructure to respond to this need. In the meantime big discounts for stranded inland crude versus prices paid for imports (usually priced against international benchmark Brent) justified more expensive crude-by-rail transport to coastal refineries. Gulf Coast refiners took increasing advantage of discounted domestic supplies and increased their processing of shale crude at the expense of imports even though their plants were configured to process heavier feedstock than typical light sweet shale barrels. 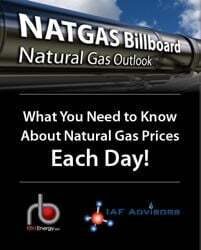 Refiners could blend lighter shale crudes with heavier imports or offshore barrels. 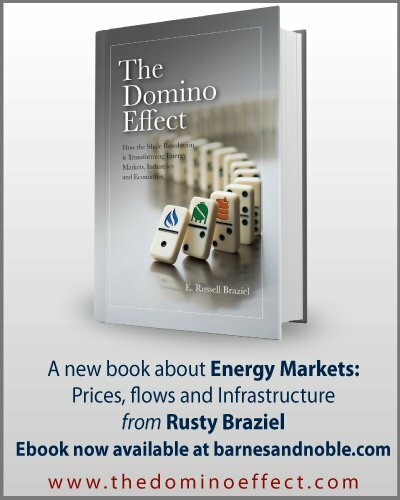 Once pipeline infrastructure was built out in 2014 and 2015, greater volumes of shale crude reached the Gulf Coast than could be easily consumed by refiners (see The Reckoning Day). 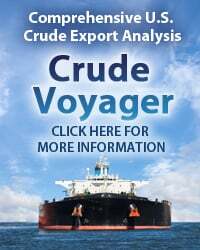 Logically the surplus light crude should have been exported in return for imports of the heavier crudes refiners preferred. However Federal restrictions that limited crude exports to certain countries (mainly Canada – see I Fought The Law) and to particular qualities of oil after June 2014 (processed condensate – see CCATS Scratch Fever) created an artificial constraint to such a quality balancing. The constraint led to continued price discounting by shale crude producers to encourage domestic refiners to process higher volumes than they otherwise would have used. The result for refiners at the Gulf Coast was a golden era for processing cheap domestic feedstock into competitive refined products for export. Crude oil throughput at Gulf Coast refineries since 2014 has consistently run at or above the five-year high, ratcheting higher as plants de-bottlenecked and upgraded to process more light crude. Texas Gulf Coast refiners, for example, set a record in net crude oil input in December 2015. Total crude oil processed was 2% higher than in December 2014, which in turn was 5% higher than December 2013. A combination of cheap crude supplies, robust domestic demand for gasoline, and steady increases in distillate and gasoline exports helped drive a Gulf Coast refining boom that continues to this day (see Living With A Material Surge). In mid-March 2016, middle distillate exports hit a weekly record of 1.4 MMb/d, according to US Customs data collected by ClipperData. 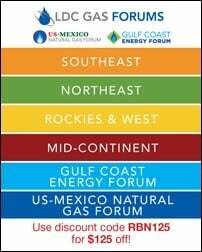 To access the remainder of Reach Out (WTI’ll Be There) – Gulf Coast Waterborne Crude Flows Adjust to A New World you must be logged as a RBN Backstage Pass™ subscriber. Shooting Star- The Condensate Star Has Faded, but What's Next in the Conde Market?